Jordan proposed to me in front of Warren, the dorm that we met in, at Whitworth University. Throughout college we were best friends and many of our favorite memories were made together in Warren. Everyone around us seemed to know that we should be together, but the timing never worked out and we remained oblivious (or at least I did). After he graduated we remained close and there was a point in time where we both were single. Jordan took the jump and told me his thoughts about how we should be together. With some convincing (like a day) we began dating. Thankfully, he was a great salesman and was very persuading! Fast forward to March 31st, 2018, the day he proposed. Jordan had spent the past 3 months planting white lies about his new job at Whitworth, his travels, and slowly getting my closest friends and family in on the plan. He had told me that part of his new position at Whitworth was giving tours. He had me convinced that he had a very important tour coming up and he needed to practice with me, and being an alum, I take any chance to go back to my favorite stomping grounds. When he asked my parent’s permission, he was traveling for work and told me there was a bad accident and he lost service for about an hour and a half. Any time I might have caught onto the plan, Jordan found a way to throw me off, from having his friend call on speakerphone to solidify their fake plans (really, he was at Whitworth with my family cleaning and getting the site ready), to pretending not to want to do the tour the day of the proposal. After I expressed that I really did want to do the tour, Jordan agreed he owed me one and we arrived on campus. We made it all the way around campus (fun tour facts and all!) and got to Warren. “This is Warren,” Jordan said. 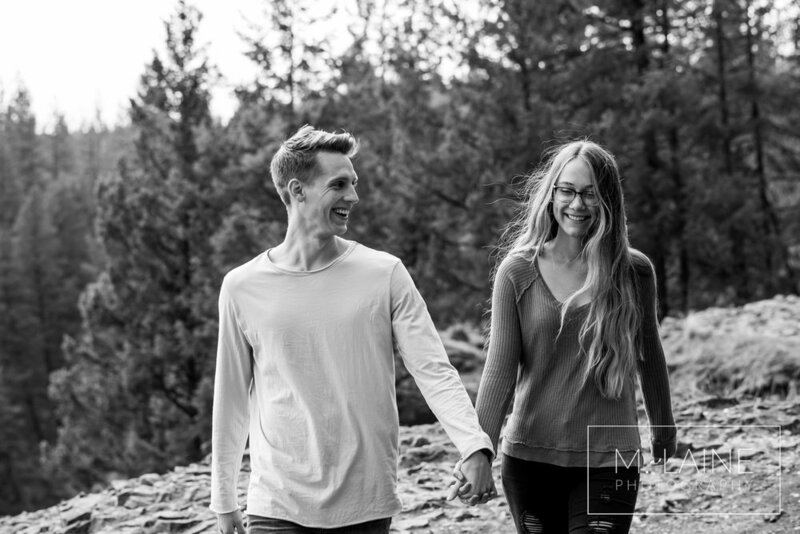 I playfully interrupted, “The place I met the love of my life.” “You took the words right out of my mouth,” Jordan said and proceeded to tell me how much he loved me. He got down on one knee and asked me to marry him. Little did I know, he had my siblings hiding in hammocks and behind trees to capture the most magical moment of my life, and oh yeah, I SAID YES! 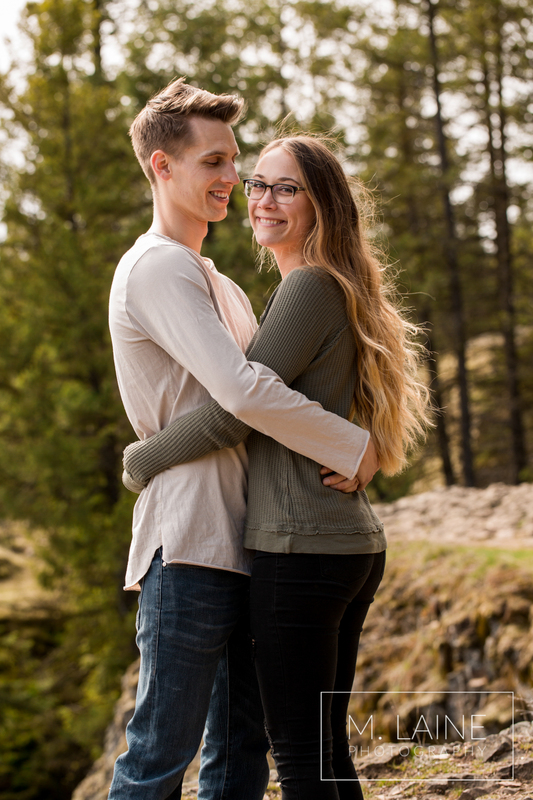 This session happened less than 24 hours after these two were engaged! If you didn't see Jordan's surprise proposal, click here!